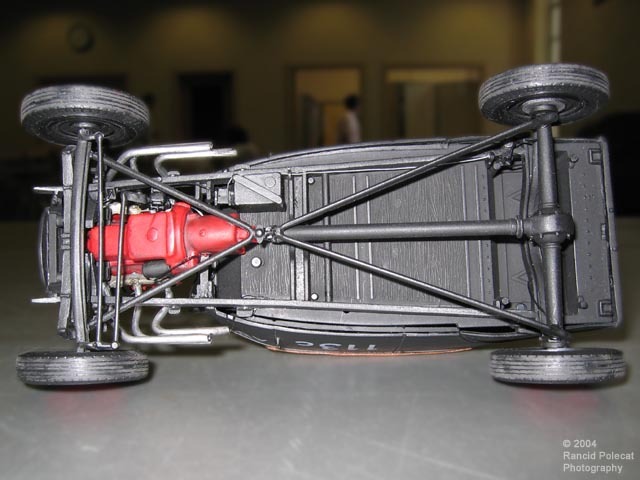 The chassis is basically box-stock, but the front and rear suspensions are from a Revell 1937 Ford pickup. The chassis and rear axle feature Grandt Line HO scale hex nut and bolt details. Steve's weathering includes numerous grimy black washes to simulate oil leaks around the engine. He also used a silver art pencil to pick out highlights and edges throughout the chassis and suspension.